Welcome in the heart of « les 3 Vallées », the world’s largest ski area. 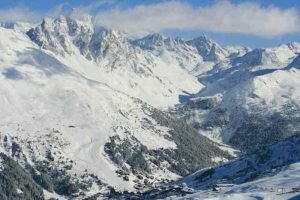 To discover this fabulous ski area and his various spaces take place in our duplex Meribel apartment with a nice view on the slopes. near to the slopes and all aminities. Inside a space of 850ft you will find all the essential for shopping, having fun but also skiing, walking, eating, and more. It is such a nice location that car is not necessary. You can walk around or use free buses and lifts.